A website for a company started by two fishermen that supplies local seafood in Rhode Island. 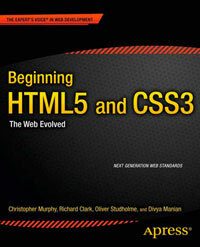 The site has a nice outline and makes good use of some of the new HTML5 elements. I would probably change the “Did you know” section on the home page to an aside as it is tangentially related to the main content, and I would use input type="tel" in the contact form. If HTML5 offered a drop-down menu tag that allowed this site to offer a “Navigational Menu” that was consistent then the company would not run the risk of frustrating their client base. Placing a heading element (h1) at the body level followed by a header element outputs a weird outline… what do you say guys?